New Orleans is the murder capital of the United States. For the last decade, statistics have shown murder rates four to six times higher than the national average. 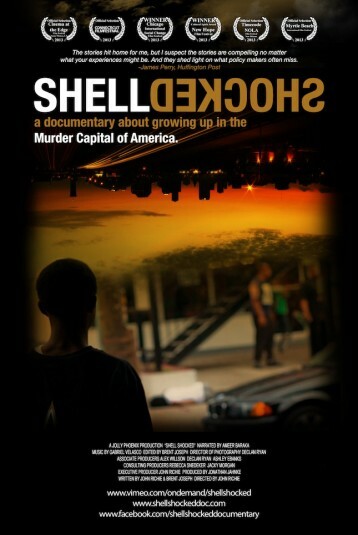 SHELL SHOCKED starts at the surface of New Orleans’ murder epidemic and delves into the hearts and minds of those whose lives are most deeply impacted—the youth who live in fear of violence, the parents who grieve a wound that will never fully heal, and the mentors who are saving lives. The film lays out the big picture of a city plagued by violence; it will describe, in simplified terms, how children’s lives are shaped by family, schools, poverty, and a stressed criminal justice system; and, finally, move to solutions related to individual, community, and administrative choices. SHELL SHOCKED seeks to boil this situation down to its core: violence is causing unbearable loss, youth need to know that someone cares, and mentoring makes a difference. The film will argue, through the voices of those who are most invested, that this is NOT too complex a problem to address and fix. Though this story is grounded in New Orleans, several voices will bridge the connection between New Orleans and other cities where long-term disenfranchisement and access to arms has become a common lethal combination. SHELL SHOCKED will be used as a tool to facilitate conversations about the causes and devastating impact of gun violence and to open paths for communication and change.